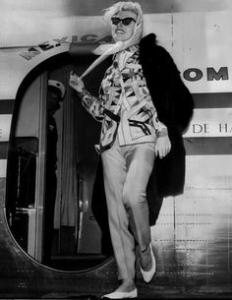 Marilyn Monroe, like the Beatles and silent film star Louise Brooks, I see more in Mexico than I ever did in the States. Not so much for their work, but their visual images. Why do you think that is? This is a question I’ve been soliciting answers to for some time now because, well, I’m naturally curious. Like a cat, but with prettier eyes and faster reflexes. From the litigiously oriented Northerners the first response is always copyright laws. They are vastly different here and whereas Disney attorneys make sure you couldn’t sell Mickey Mouse shaped cookies at a church bake sale in rural Mississippi, here Disney Princesses grace most everything from clothing and furniture to school walls. When I’ve film directors on tours it drives them crazy feeling the use of images defies both their art and/or earnings potential. But that’s not the full answer. Sure, here you can use images with ease but why these three? Why not Michael Jackson, Madonna or Jon Cena? Most anyone, really, that has been popular culture icons in the last one hundred years? Marilyn, hands down, is the most omnipresent, representing Caucasian, blonde beauty from a faraway era. For centuries the caste system in Mexico, largely based on your skin tone inherited from your parents’ races, defined your life. Top of the charts were pale Spaniards. Even today a telenova will feature fair skinned dark haired men but most every actress is a shade of blonde. Plus one of the most important things a mother or grandmother can say about her offspring is “He´s guerito” or she has light colored eyes. Another point in Marliyn’s favor in Mexico culture, beyond racism, is she represents tragedy in her personal life. If as far back on your family tree as you can go folks have been conquered, you are well versed on sadness in life especially inflicted upon by white men, like President Kennedy for Miss Monroe. 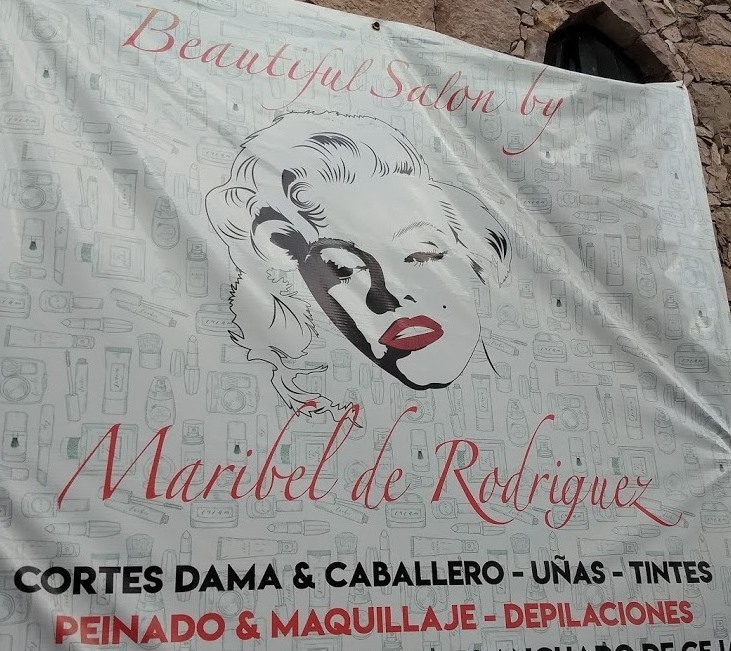 Lastly, Marilyn’s mother was born in northern Mexico, though their ties to Mexico appear to begin and end there. 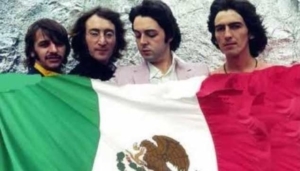 I never heard Beatles’ music until arriving in Mexico and quickly realized many Mexicans who speak nary a word of English can sing a Beatles tune accent-less. It is a tribute to the beauty and simplicity to the music that I wish I was aware of when teaching English as a second language. Instead I was using Dolly Parton songs to teach English! It isn’t the musicians as individual images as I never seen Paul, John, Ringo or the other one alone in images, only as the group. Every song in English that was wildly popular, from the nursery rhyme “Rock-a-bye Baby” to Toni Basil’s cheer-leading cheer “Hey Mickey” is known in Mexico. However, the simplistic beauty of the Beatles’ songs stick with folks and their images, complete with bad haircuts and sideburns, flourish. 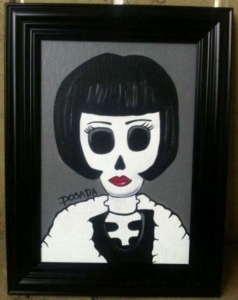 Louise Brooks is the odd gal out. A Kansas gal that grew up with Ethel Mertz (TV actress Vivian Vance from I Love Lucy) Louise scored silent movie fame reaching her zenith in the German silent “Pandora’s Box” playing Lulu whom is murdered by Jack the Ripper. Self-destructive and alcoholic, Louise fell off the pop culture map early on but reappeared in the 1980s with her best-selling book, Lulu in Hollywood chronicling early Hollywood with keen insight and first-hand observational skills. 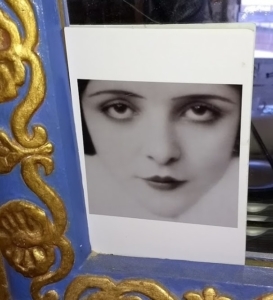 Few in any culture today know who Louise Brooks was yet her image is all around town from postcards at Juan’s Café to CD covers. What ties Louise in is like Marilyn, she’s an anemic looking white woman remembered for her hair (in Louise’s case the 1920’s bob) and tragic life. Like when I explain the symbolism behind the double (two horizontal) lined cross all over town and folks start to see it everywhere, be aware of how often Marilyn, the Beatles or Louise Brooks bounce into your line of sight. 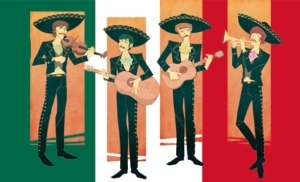 Perhaps you can share with me other reasons for their subtle subterfuge through Mexican culture or just enjoy their visual legacies!